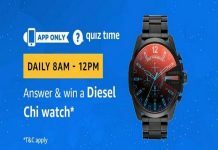 Amazon Riddles Quiz | Answer & Win Rs. 5,000 as Amazon Pay Balance. Answers all the 5 Questions Correctly & If you are lucky then you will win Rs. 5,000 Amazon Pay Balance. 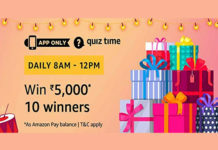 This is Amazon App only contest. 5. Done. Congratulations !! You are eligible to Win Rs. 5,000 Amazon Pay Balance. Note: You need to answer all 5 questions correctly for eligible to win Rs. 5,000 Amazon Pay Balance. 1. I have hearts but no other organs. What am I? 2. How many months have 28 days? 3. We’re five little items of an everyday sort; you’ll find us all in ‘a tennis court’. What are we? 4. What has cities, but no houses; forests, but no trees; and water, but no fish? 5. What gets wetter and wetter the more it dries? This Contest will commence from February 15, 2018 at 12:00:01 a.m. (IST) and end on March 25, 2018 at 11:59:59 p.m. (IST) (both days inclusive) (“Contest Period”). 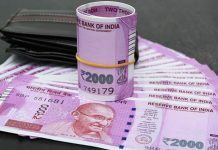 The declared winner(s) will be eligible for winning INR 5000 as Amazon Pay balance each (hereinafter referred to as “Prize(s)”). 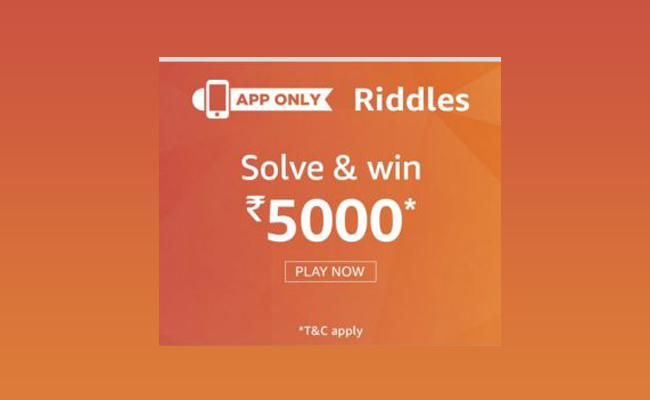 The Riddles Quiz (“Contest”) is “) is brought to you by Mirza International Limited – (“Brand”) and made available to you by Amazon Seller Services Private Limited (“ASSPL”/ “Amazon”). Please read these terms and conditions (“T&Cs”) before entering the Contest. I have a doubt on declaration of results of these riddles.. It doesn’t seem to be true.